J. Roger Primm, 80 of Troy, Ohio, formerly of Ashland passed away, Wednesday afternoon, February 6, 2019 in Kindred Hospital in Dayton. He was born on October 23, 1938 in Dayton, the son of the late John F. And Althea M (nee Wieland) Primm. His family relocated to New Jersey during his youth and he attended a private military school in Florida. Following his high school graduation in 1957, Roger attended Ashland College and earned an Associates Degree of applied science from the Cincinnati College of Mortuary Science in 1961. Roger married the former Phyllis A. Klein in 1962; and the couple resided in Massillon for several years. During Ashland’s sesquicentennial celebration in 1965, the Primm’s would find themselves relocating to Ashland after longtime funeral director, Harry W. Denbow offered Roger a position with the company. In 1967, he was named partner changing the name of the funeral home to Denbow-Primm Funeral Home. The couple called Ashland home for the next 48 years. Roger was very active within his community having served on numerous leadership boards and committees throughout his 50 year career as a funeral director including: Ashland Rotary Club, Masonic Lodge, Al Koran Shrine Club, United Way, Salvation Army, and the American Red Cross, to name a few. He was a devoted member of Christ United Methodist Church where he served on church council for numerous years. Roger was a lifetime member of the Ohio Funeral Directors Association, Ohio Embalmer Association, and the National Funeral Director’s Association. For more than 10 years he served as a board member on the Ohio Board of Embalmers and Funeral Directors taking his first appointment in 1991 by then governor, George Voinovich. Roger sold the company to Seth and Lindsey Gasche and retired in 2013 to Troy, Ohio; his wife’s hometown. During his retirement, Roger enjoyed an active lifestyle having started an antique store called Primm N’ Proper; a past time hobby of his. Both Roger and Phyllis found themselves enjoying their retirement in their country home and stopping by Phyllis’ family restaurant K’s Hamburger Shop everyday for lunch. Roger is survived by his loving and devoted wife of 56 years of marriage, Mrs. Phyllis Primm of Troy; two sisters-in-law, Marcia (Timothy) Bodmer of Troy and Kathy (Robert) Mitchell of Gaithersburg, Maryland; and a cousin, the Reverend Bill (Lucy) Wieland of Greencastle, Indiana. Funeral services will be held, Monday, February 11, 2019 at 2:00 p.m. in the Denbow-Gasche Funeral Home, 313 Center Street, Ashland, Ohio 44805 with Reverend Tom Snyder and Reverend John Bouquet officiating. A meal and time of fellowship will be served in the Legacy Room of the funeral home immediately following the service. Interment will be in Ashland Cemetery. Friends may call two hour prior to the service from 12:00 p.m. to 2:00 p.m. in the funeral home. In lieu of flowers, memorial contributions may be made to the Ashland County Community Foundation, 300 College Avenue, Ashland, Ohio 44805 or to Christ United Methodist Church, 1140 Claremont Avenue, Ashland, Ohio 44805. 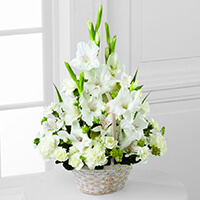 To send flowers to the family of J. Roger Primm, please visit our Heartfelt Sympathies Store. We encourage you to share any memorable photos or stories about J. Roger. All tributes placed on and purchased through this memorial website will remain on in perpetuity for future generations. We were very sorry to learn about Roger's passing. He was always very helpful with veterans concerns in this community. May God Bless and be with all of his family. All that Roger did was a tribute to his love of life and family. In this time of sorry think of his family and the brightness that Roger shared with the world. Roger was a fantastic person who will be missed by all that knew him. My thoughts and prayers go out to the family.